The U.S Federal Communications Commission is due to vote on plans to repeal net neutrality rules championed by former President Barack Obama. The 2015 rules, which treated internet service providers like public utilities, barred the blocking or slowing of access to content or charging consumers more for certain content. They were intended to ensure a free and open internet, give consumers equal access to web content and prevent broadband service providers from favoring their own content. Pai proposes allowing those practices as long as they are disclosed. Protesters including some members of Congress are expected to rally outside the FCC before the vote. 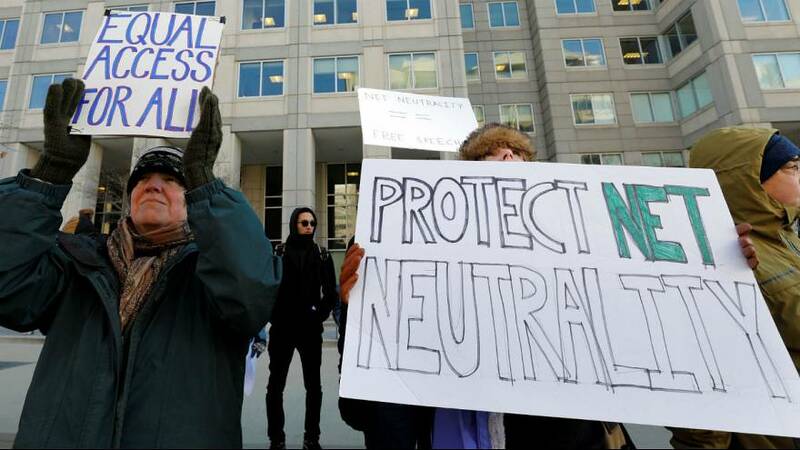 The American Civil Liberties Union and consumer advocacy groups are also opposed to reversing net neutrality rules. FCC chairman, Ajit Pai’s proposal marks a victory for big internet service providers such as AT&T Inc (T.N), Comcast Corp (CMCSA.O) and Verizon Communications Inc (VZ.N) that opposed the rules and gives them sweeping powers to decide what web content consumers can get. It is a setback for Google parent Alphabet Inc (GOOGL.O) and Facebook Inc (FB.O), which had urged Pai not to rescind the rules. Michael Powell, a former FCC chairman who heads a trade group representing major cable companies and content creators, said internet providers would not block content because it would not make economic sense and consumers would not stand for it. A University of Maryland poll released this week found that more than 80 percent of respondents opposed the proposal. The survey of 1,077 registered voters was conducted online by the university’s Program for Public Consultation from December 6-8. Democrats have said the absence of rules would be unacceptable overturn the proposal if it is approved. Advocates of the net neutrality rules also plan a legal challenge.